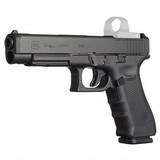 The GLOCK USA G34 Gen 4 is a fantastic choice for duty, defense, competition, and recreational shooting. This Semi Automatic Handgun is ideal for meeting multiple needs in a single platform allowing the shooter to transition from duty, to concealed carry, to competition, all without changing firearms. The G34 features better weight distribution balance and ergonomics over smaller versions. It's longer barrel and slide reduces felt recoil and muzzle flip while the longer sight radius improves overall accuracy. 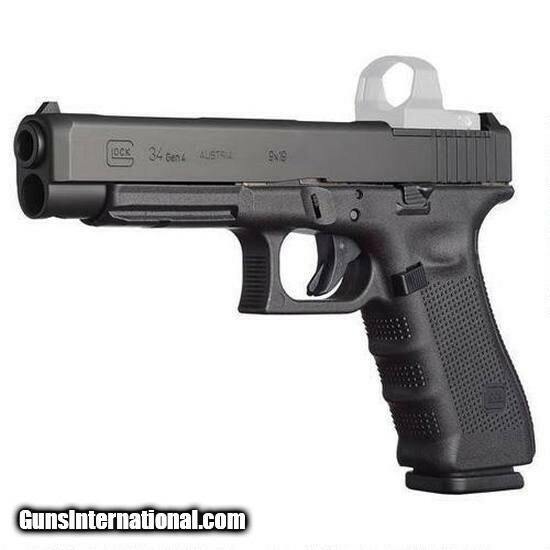 This GLOCK also features the MOS Modular Optic System mounting platform that allows you to switch between traditional sights or a number of popular reflex optics quickly and easily. Please note that the MOS is an integral mounting platform built into the slide and that optional reflex optics are not included. GLOCK has a well established world famous reputation for being utterly reliable, durable, and accurate. It's no wonder why more law enforcement, military, and lawful citizens rely on GLOCK to protect themselves and their loved ones then any other pistol. Get yourself a GLOCK G34 Gen 4 today and experience for yourself why they call it "GLOCK Perfection".